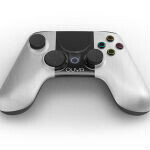 The OUYA Android gaming console has been in the hands of developers for almost a month, and we're seeing the first changes from the feedback that the team has gotten from the developers. The first set of changes has come to the hardware, surprisingly. The controller to be specific. Apparently, the OUYA team got quite a lot of emails from developers complaining about certain features of the controller, so changes have been made. The big change is to the directional pad. On the original controller (which you can sort of see in the title image of this article), the directional pad was a flat disc, which has never been a popular design, because it makes it harder to accurately press the various directions. 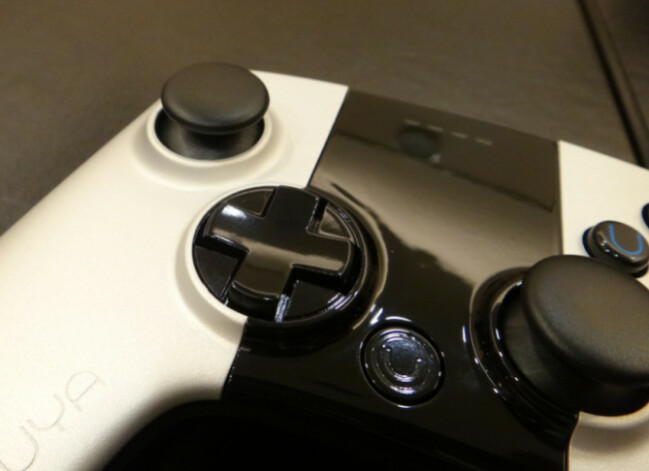 So, the team has heeded the feedback, and changed the design to a more widely-accepted cross style d-pad. There have been a number of other changes to the controller as well. The thumbsticks have been given rubberized tops for better traction/grip. The touchpad has been made more responsive. The shoulder triggers have been made more flush with the body of the controller. And, the battery door has been made to fit more tightly. Not a bad set of fixes. It should be interesting to see what other changes are made before the console hits regular customers. Those shipments are still due to start in March for Kickstarter backers, and April for those who purchased through the OUYA website. Should bought/kicked in on a DEV Unit so your opinion could of been noted. Too bad. XBOXY to me, and thats not a bad thing. It is priced quite low: $99 the console with a controller, $30 for an extra controller.